Honda Motorcycle & Scooter India Pvt. 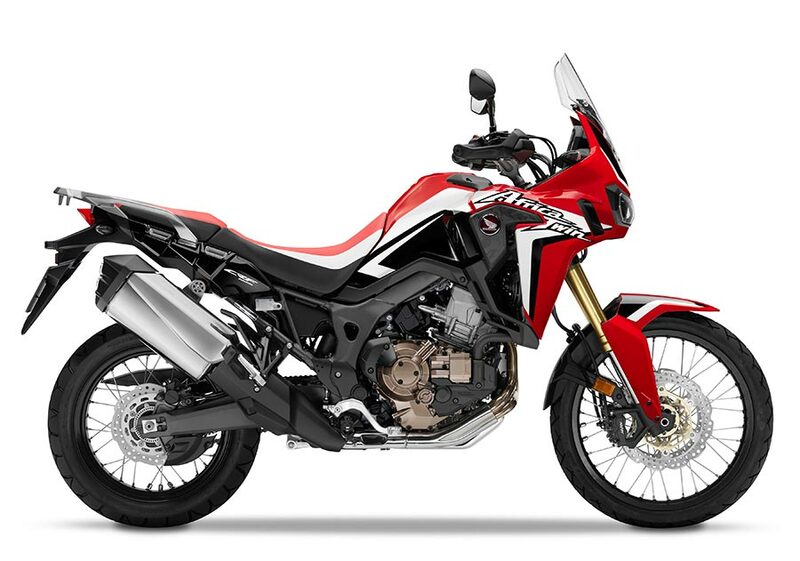 Ltd. today announced commencement of bookings for 2018 Africa Twin in India. Lucky customers will get a chance to witness their favourite riders live at MotoGP. The bookings are open for first 50 lucky customers as it will be available in limited number of units. For booking enquiries, customers can contact or visit Honda’s exclusive sales & service Wing World outlets located across 22 cities in India. Customers can also log on to Honda2WheelersIndia.com for more details. 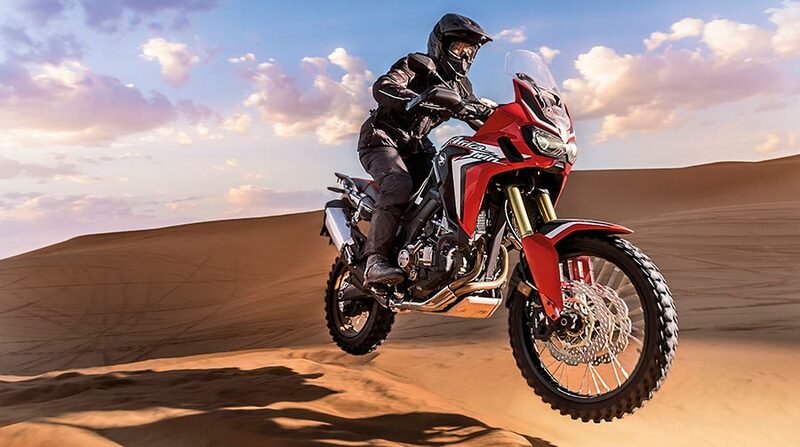 Showcased first at Auto Expo 2018, the motorcycle carries forward the three-decade old legacy of the iconic Africa Twin. The latest is no different, bringing together power, comfort and control like never before. The engine is Parallel Twin – 999.11cc with Max Power of 65.4 kW (89PS) @7500rpm and 93.1 Nm Torque@6000rpm The Africa Twin retains Honda’s unique Dual Clutch Transmission technology. An automated clutch and shift operation system that retains the direct acceleration feel of a manual transmission. Experience a more enjoyable ride by focusing on the sensations of accelerating, turning and braking your motorcycle. In Dual Clutch Transmission (DCT), three modes of operation are available. Automatic D mode is ideal for city and highway riding, and achieves optimum fuel efficiency. Automatic S mode offers three levels of sportier riding as the ECU lets the engine rev a little higher before shifting up, and shifts down sooner when decelerating for extra engine braking. The MT mode gives full manual control, allowing the rider to shift gear with the left handlebar trigger control buttons. The riding modes are comprised of different levels of Power (P) and Engine Braking (EB). Front Showa 45mm cartridge-type inverted (Upside Down) telescopic fork with dial-style preload adjuster and DF adjustment, 230mm stroke. Rear: Monoblock cast aluminium swing arm with Pro-Link with gas-charged damper, hydraulic dial-style preload adjuster and rebound damping adjustment, 220 mm rear wheel travel. 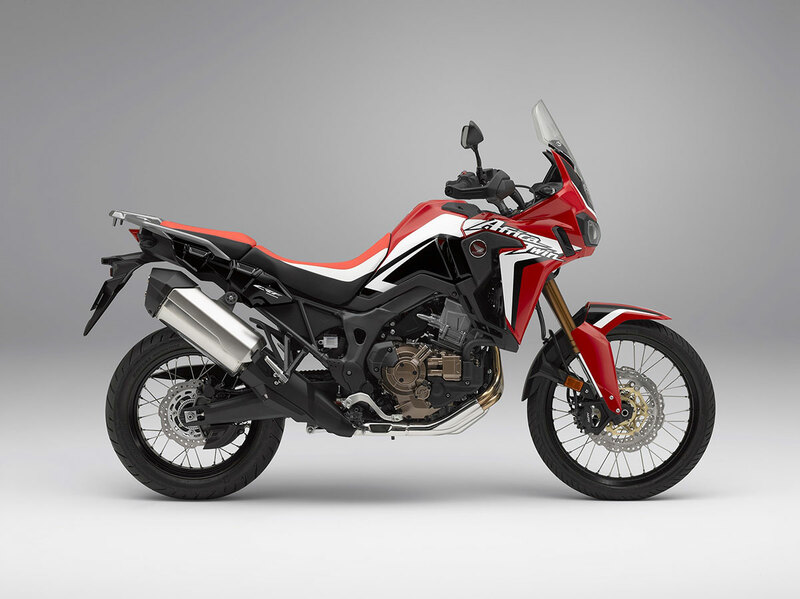 With 360-degree value addition, 2018 Africa Twin is priced attractively at Rs. 13.23 lacs (ex-showroom, Delhi) in GP Red colour scheme. 2018 Africa Twin bookings open for first 50 customers only! New Rider Aides: Throttle by wire, 3 Riding Modes, 7 level Honda selectable Torque Control.